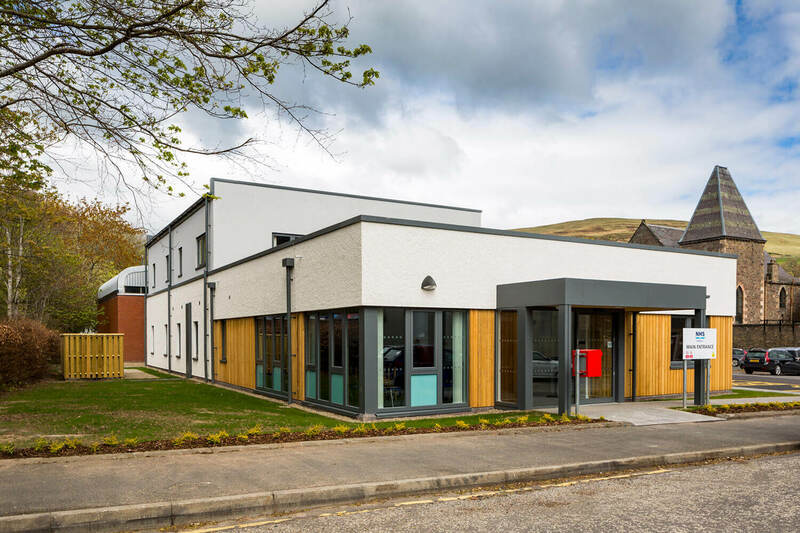 There was a need to replace the existing Roxburgh Street surgery in Galashiels to provide fit for purpose, DDA compliant facilities for use by both staff and patients. 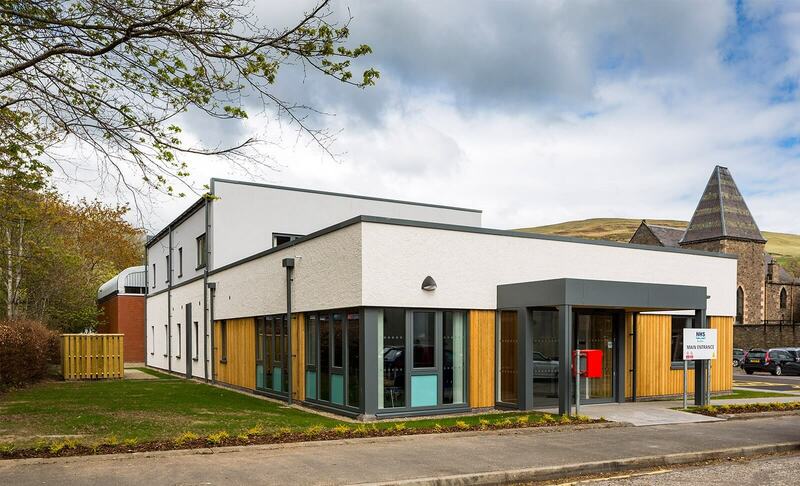 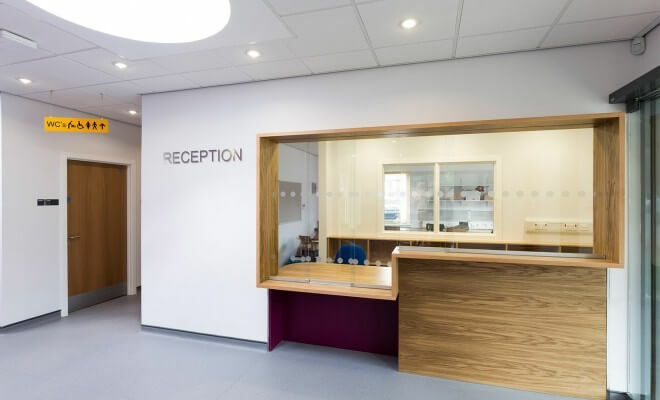 The new surgery provides consulting rooms, waiting area and office space of suitable size, can attract and retain high quality staff; provide sufficient accommodation for the identified and expected future expansion of the Galashiels population. 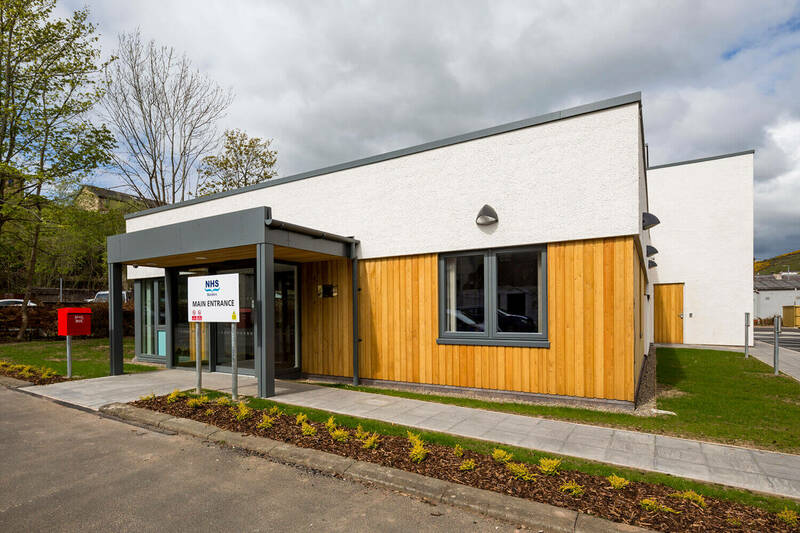 The building is set over two floors with ground floor comprising reception, waiting, consulting and treatment and the provision of Scottish Ambulance Service Crew Room and staff accommodation including District Nurse and Health Visitors offices on the upper floor. 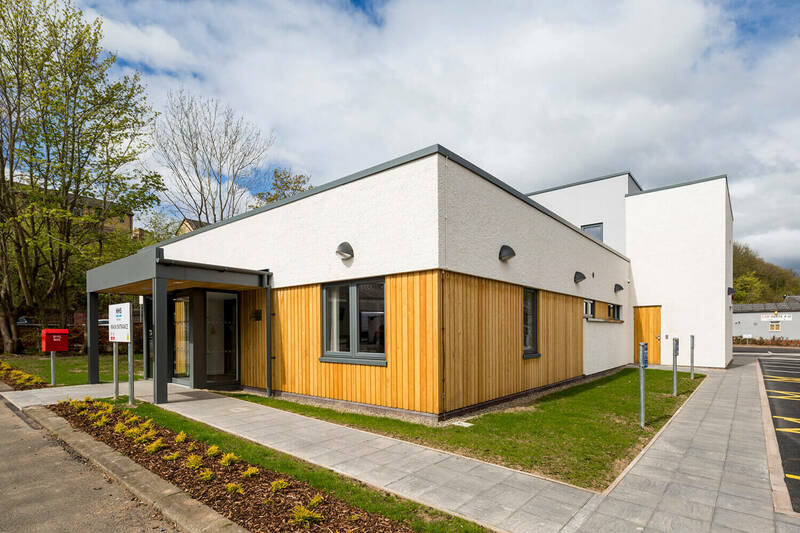 A simple palette of materials including render and larch cladding were chosen for the external elevations providing a striking contrast currently however over time the larch cladding will weather. 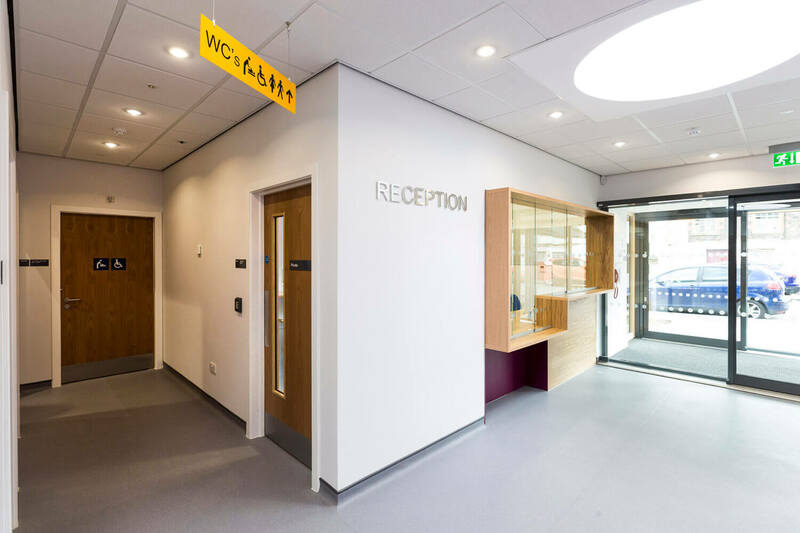 The waiting area is glazed to the private gardens and the reception area has two circular rooflights providing a fantastic naturally lit entrance space. 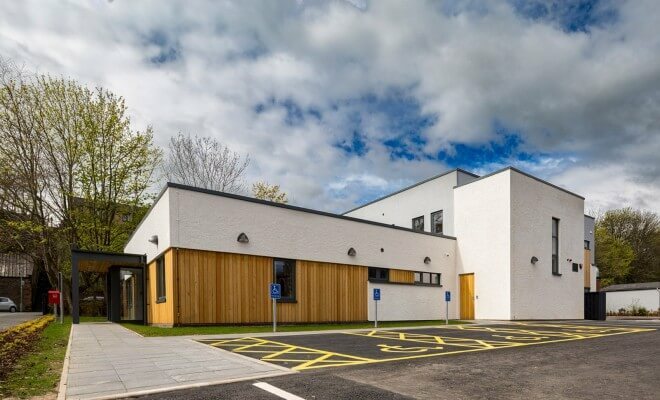 The project was delivered through the HUB South East framework for NHSB by a joint venture between Morrison Construction and ESH Border Construction. 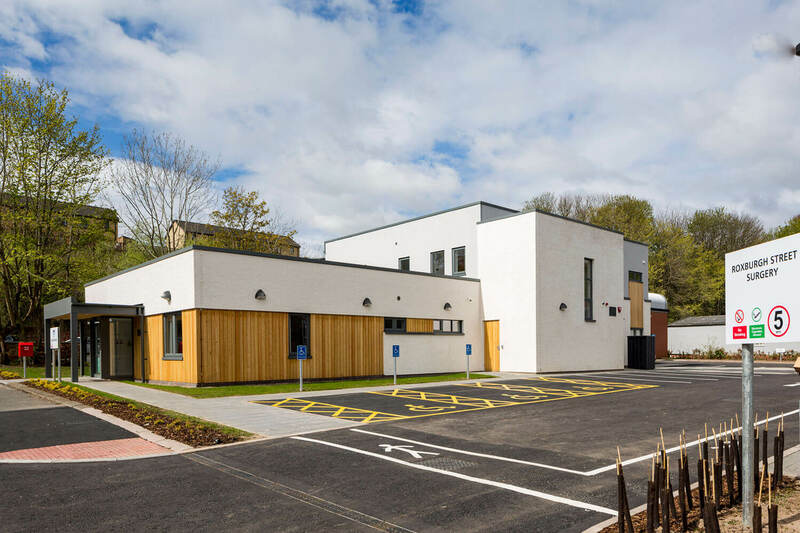 The project completed in April and opened to the public in May 2017.